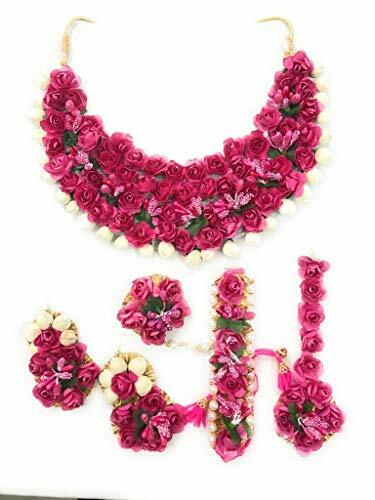 * Ethnic & Traditional Handmade Gota & Flower Jewellery for Women/Girls. 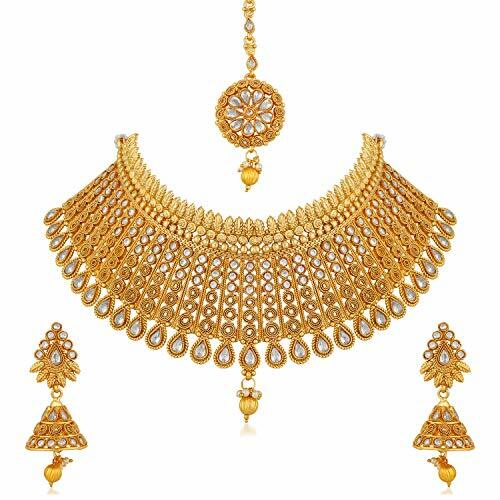 * Product Includes: 1 Piece Long Necklace, 1 Pair of Earring , 1 Managtikka. * We are manufacturer we can customize color and design as per your occassion, We also take bulk orders. Click on Contact seller. *Vibrant Colour, Free Size, Weight less, Soft & Easy to Handle flower work *Please Note we are original manufacturer of this product. For Best Quality please order in our store only. 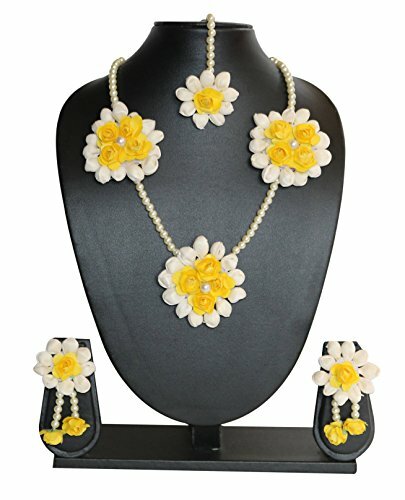 Ethnic &Traditional Handmade Gota & Flower Jewellery for Women/Girls. 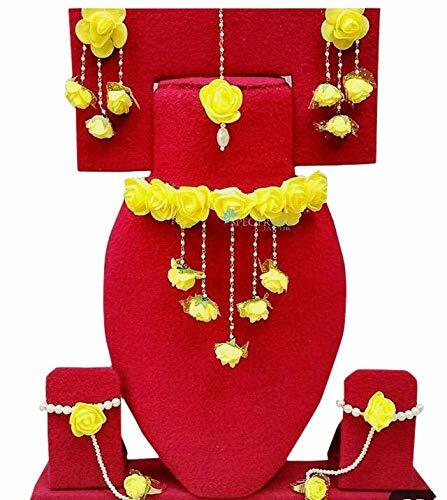 Product Includes: 1 Piece Long Necklace, 1 Pair of Earring , 1 Managtikka. We are manufacturer we can customize color and design as per your occassion, We also take bulk orders. Click on Contact seller. 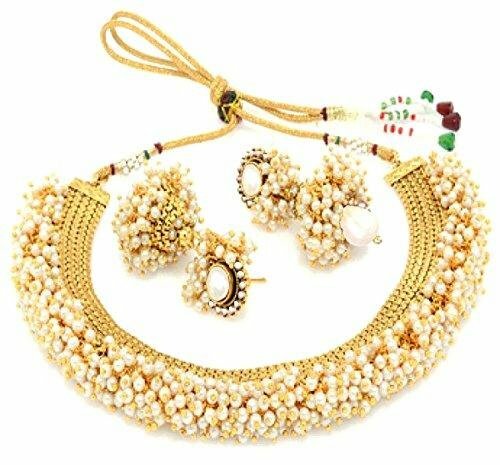 Its made of Mogra and artifical flowers and pearl mala.